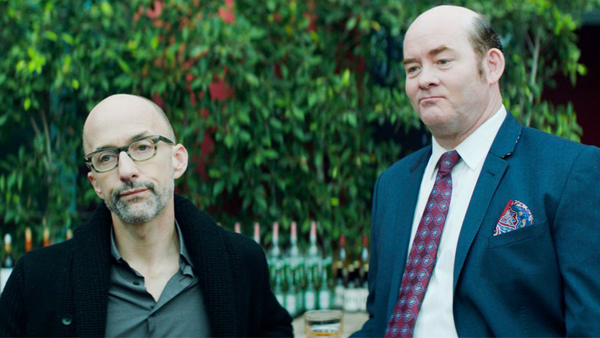 Jim Rash and David Koechner star in "Bernard and Huey," a new comedy from director Dan Mirvish ("Between Us"), based on the comic strip by Jules Feiffer. Rash and Koechner play the title characters, college friends whose power dynamic has shifted now that they are middle-aged, and which shifts back when they suddenly move back in together. In his review, William Bibbiani argues that the film "seems to be under the misapprehension that acknowledging the shallowness of the characters and storyline is, in itself, clever."